Test Locations: Taos Ski Valley; Chamonix, France; Couramayeur, Italy; Fieberbrunn, Kitzbühel, & Kappl, Austria; Revelstoke, Canada; Telluride and Crested Butte, CO.
After a really fun and interesting design process (you can read about it here), the Wagner Customs were built, finished and ready for delivery. From the moment graphics are finalized and submitted, the ski fabrication process takes about three weeks to complete. And the ski I received was impressive. Wagner typically ships your skis direct, but since I’m always up for a visit to Telluride, I opted to get my skis in person. I arrived at the factory after hours and picked up my new skis. In the bag, I found that the skis included Velcro Wagner straps, and a high quality tune like that you’d receive from a top-notch shop, with a custom base pattern, 1˚ edge bevel, and a cold weather wax applied with a three-hour bake in the Wagner hot box. The graphics on this ski are absolutely striking. While the wood veneer options that Wagner offers are gorgeous, I’m happy that decided to experiment and apply my own custom graphic. 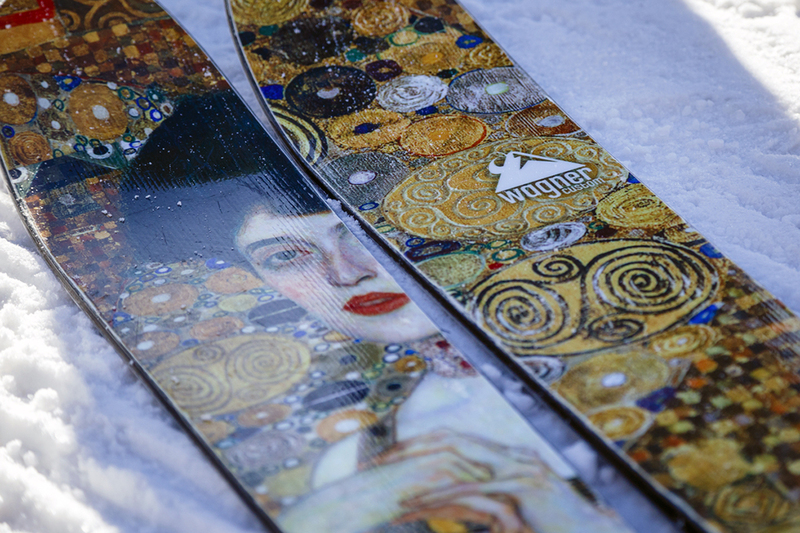 For this project, I selected a custom graphic for a variety reasons: 1) to test the accuracy of casting a detailed graphic onto a ski; 2) because Wagner is one of the only independent companies who offer a truly custom graphic; and 3) to pay tribute to my Austrian heritage. Using a high-resolution image exported for print at 150 dpi, Wagner’s ‘graphics girl,’ Heather Baltzley, managed to project a high degree of color accuracy and image detail onto my ski. 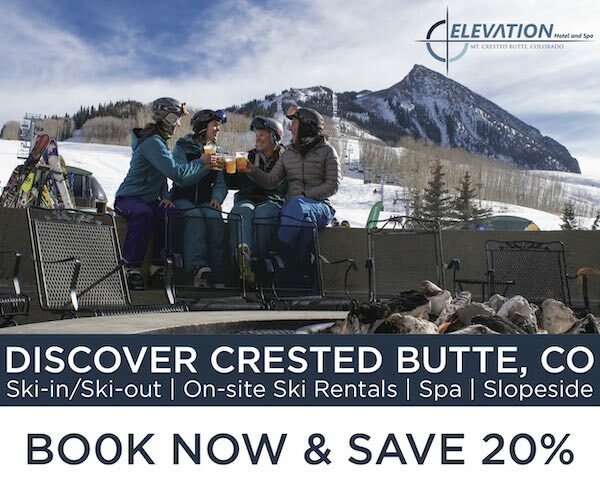 The image quality has enough detail for use with a custom photograph (they can actually place your picture on a ski), and features a glossy finish which overlays the graphic that is embedded into the ski. While the gloss will scratch with excessive wear, the graphic itself is remarkably durable and scratch resistant. 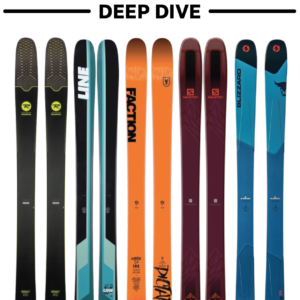 The graphics also include a bit of custom text that states, “Handcrafted for [client name],” along with a serial number and the ski’s dimensions. It was immediately obvious that the construction of this ski was top notch. I ordered my pair with the Super Durable Base option, p-tex sidewalls, and thick 2mm edges that wrap entirely around the tip. All of these are pressed seamlessly together, and the durable top sheet is beveled to minimize wear along the edges. The wood core was constructed with alternating, half-inch strands of sugar maple and aspen, to provide a strong yet balanced flex pattern. The flex of my ski doesn’t rebound with a ‘snap’ like a pine or fir wood core, but features a sturdy, yet smooth and balanced rebound. 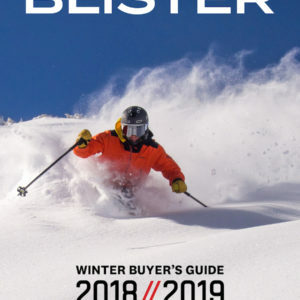 A number of shop techs and independent ski makers have complimented the construction quality and the stout flex pattern of these skis, while the graphics have been praised by most everyone. I have not had any issues regarding delamination, nor have I heard of any from longtime users of Wagner Custom skis. The topsheets are slightly more prone to typical knicks along the edge than fiberglass topsheets, but the bevel Wagner finishes their skis with minimizes the effect. The 189cm length, 108mm width underfoot, and a 27m sidecut radius are all fairly traditional for a big mountain ski. And the minimal tip rocker and tapered all-mountain tip profile aren’t radical departures, either. My first day skiing the new Wagner’s was at Telluride, their place of origin. Upon clicking in at the base area and skating to the lift, the skis felt good in terms of length, width, and weight. On the lift, the swing weight felt balanced and I was eager to see how they would feel on the slopes. On groomers, the balanced flex became especially apparent. The ski has a huge ‘sweet spot’ that allows me to cruise comfortably with little input or a LOT of input. I can drive the skis when bombing groomers at full throttle, and carve a variety of turn shapes at any speed. When toning things down to 50-70%, they allow me to really feel the snow and focus more on technique. And toward the end of the day when I’m less eager to rip, I’m able to slide them around with minimal effort to control my speed. Overall, the skis feel like they should: stable, responsive, comfortable. One thing that was noticeable on groomers related to the tapered all-mountain tip profile. After skiing the last few years on predominantly rounded tips (with the fattest part of the ski close to the end of the tip), I definitely noticed that I was lacking the full extension of my effective edge when carving. While I expected this, I didn’t realize what a big difference a tapered tip would make. 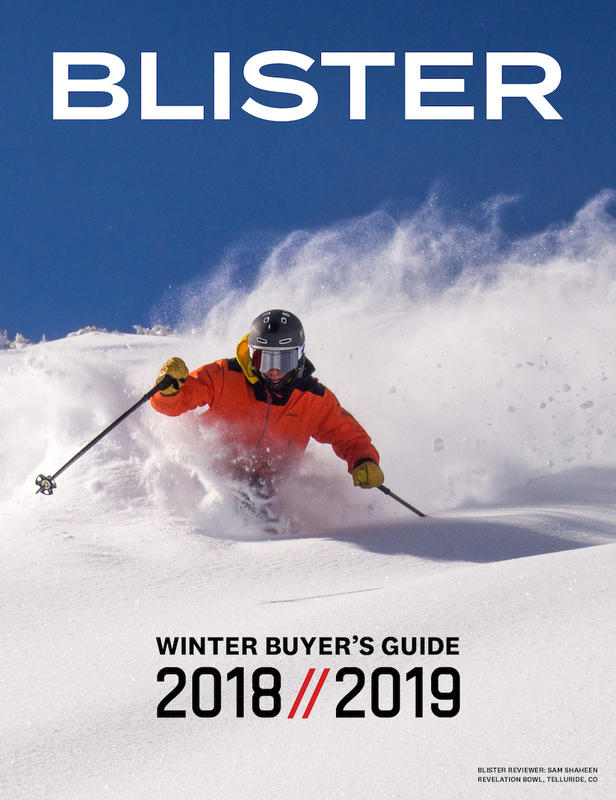 Conversely, this profile has it’s advantages (which I’ll touch on in following sections) but for someone looking to ski mostly groomers, I’d suggest one of the wider, more rounded tip profiles Wagner offers. In bumps and tight trees, these skis shine, which wasn’t something I anticipated at all with a ski of this size. The moderate-to-low swing weight, combined with minimal side cut and a stiffer tail, allowed me to pivot over bumps and around trees extremely quickly. 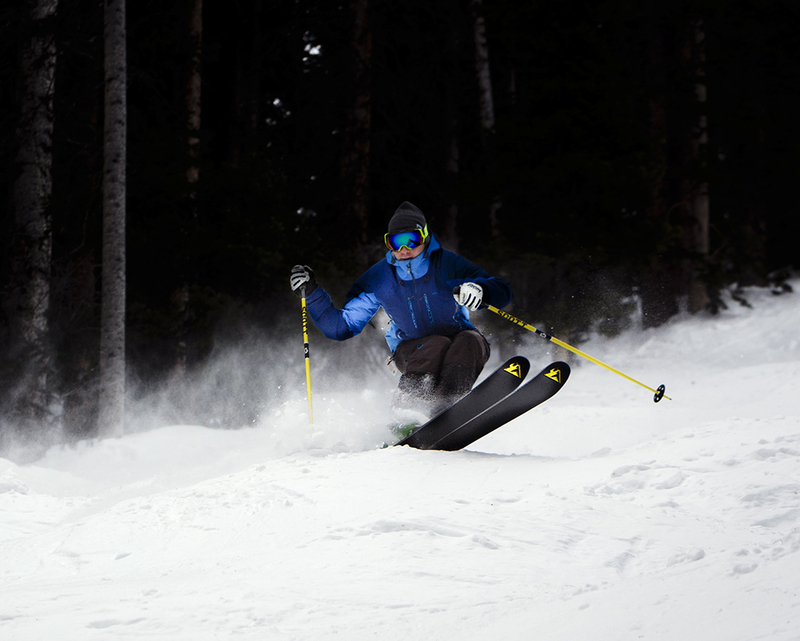 The ski is extremely well balanced, with a very responsive flex pattern that allows for easy maneuvering in areas that require tight turns and when approaching obstacles with caution, or when charging full speed. The tapered tip profile also allowed for quick directional change and became especially enjoyable when stuffing them into piles of fluff or slush and exploding these piles into face shots. While I didn’t find the tapered tip an advantage on groomers, it certainly was here. The idea is really interesting, but it’s hard to swallow the price of almost 4 new pairs of “semi” custom made Praxis for instance! I wouldn’t hesitate if I was looking for something really specific specially if I was competing, but for a recreational non pro or non comp skier it’s hard to justify the price! Btw, I’m curious to see rocker profile pictures! To be honest, I think Wagner will cater to the non pro/comp skier as good as anyone. Their skis shine regardless of ability, and the way they feel and ride do not require professional ability, even with this model. They’re meant for a good skier looking to become an even better skier, perhaps by means of improving their equipment. 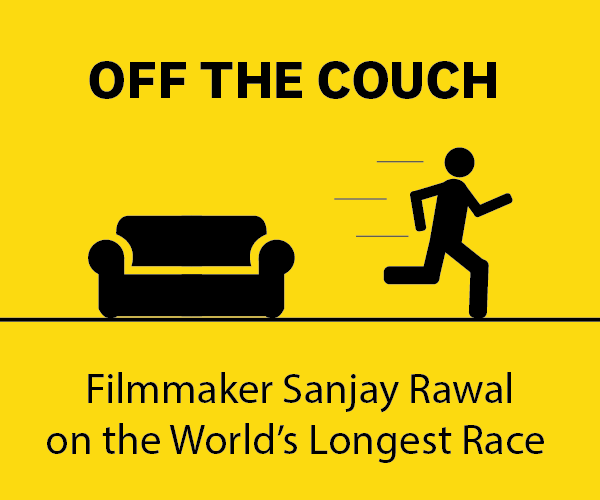 If you feel that equipment has a profound influence on your performance, then they’re worth it. If you feel you can drive anything, and it’s mostly the skier not the ski, then consider what’s most practical for your situation. could have sworn that you rocked k2’s for one of the stops, but that was back in january. 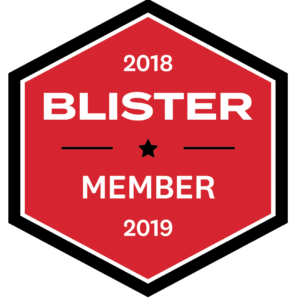 Yes, I rocked the K2 Annex 118 in Cham this past January after the venue received significant snowfall prior to the event and I needed more floatation. If conditions had remained firm and variable, the 189 Wagner would’ve been the call. im sorry but 1700 is a retarded price for skis. I’m looking for a ski that’s similar to the first one you had built, a solid ski for variable comp skiing and technical lines. Maybe an older version so I can find a deal. Not a Cochise. Dyna xxl? kai take a look at on3p wrenegade! Check out the Moment Belafonte if you can find a pair. They haven’t changed the ski much so any year will do. The XXL is super solid but the tip profile is limited in terms of rocker and abruptness. I have a Wagner ski designed but I have not pulled the trigger. I can’t help wonder if one of the following might be comparable. I have a pair of Wagner Customs. I have skied them through last season and this 2016/17 season. I would say they improved my skiing in a massive way. Part of the process is that he has you fill out a questionnaire … I am a life long skier but I do not have a lot of knowledge of ski design. Since Pete designed my ski without any of my bad ideas… or nods to current fashion… I ended up with a ski that was better than anything I could have asked for. The ski so effectively improved my skiing that I am sort of terrified by how much gear affects performance when it comes to skiing.